Don’t just stop at butter – get creative with your toast toppings and turn this simple snack into a meal to remember. Something truly magical happens when you apply heat to bread. The chewy, savoury, dense texture is gently transformed into something crisp, crunchy and robust that cries out for a generous spread of butter, a big dollop of jam or silky scrambled eggs. Toast is often taken for granted, so we thought it was high time to celebrate this humble, simple thing that manages to find its way into our breakfasts, lunches and dinners, as well as making the perfect snack in between. From the Latin ‘tostum’ meaning ‘to burn’, toast first came about as a way of making stale bread go further. Today it is a household staple, and you’d be hard pushed to find a toaster-less home anywhere in the UK. This is because the possibilities with toast really are endless. Go beyond the typical toppings of jam, Marmite, beans or butter and you’ll find a treasure trove of ingredients perfect for spreading. Radishes with anchovy and herb butter. Truffle rarebit with Parma ham. Scrambled eggs with mushrooms. Peas on toast with mint and mozzarella… we really could go on forever. Whilst a simple slice of really good bread toasted and liberally spread with butter is sometimes all you need, if you prefer something more substantial then take a look at our five favourite toppings for the toast connoisseur. 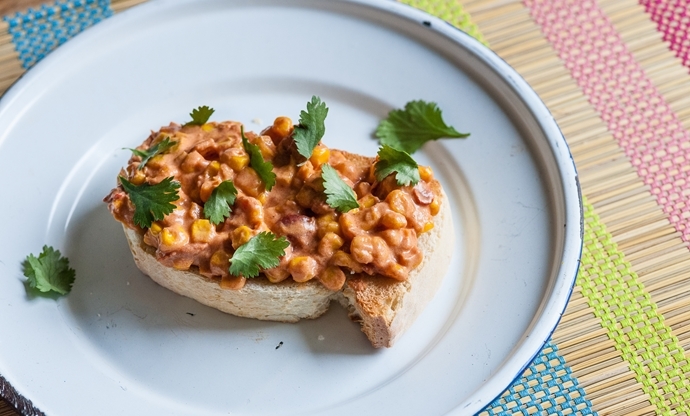 Makhni is a creamy, lightly spiced dish usually made with lentils, but here chef Alfred Prasad uses sweetcorn instead for a lighter alternative. It pairs delicate spicing with cream and when served on good quality bread, it makes a great alternative to beans on toast. It’s vegetarian, too, and is a real treat for breakfast or brunch at the weekend. 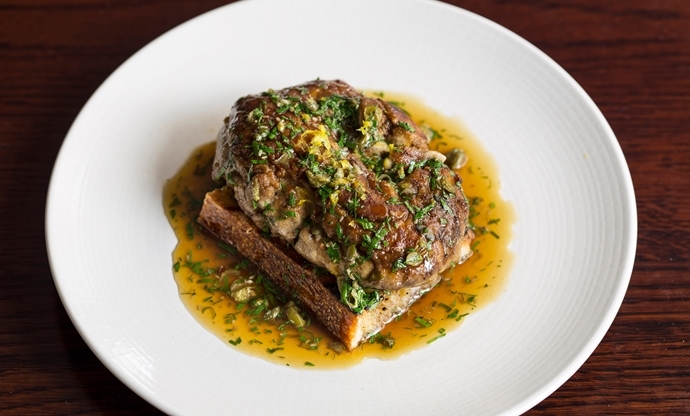 Not for the fainthearted, these calf brains on toast with lemon, parsley and capers may not be for those with a weak stomach. But If you enjoy the wobblier things in life, the brains’ mousse-like texture combined with the crunch of the toast will make your day. It can also be scaled down and turned into a dramatic starter for a dinner party, allowing you to show off your culinary flair. Sardines are a store cupboard saviour; combined with a few slices of toast, you’ve got a quick lunch that takes less than five minutes to prepare. 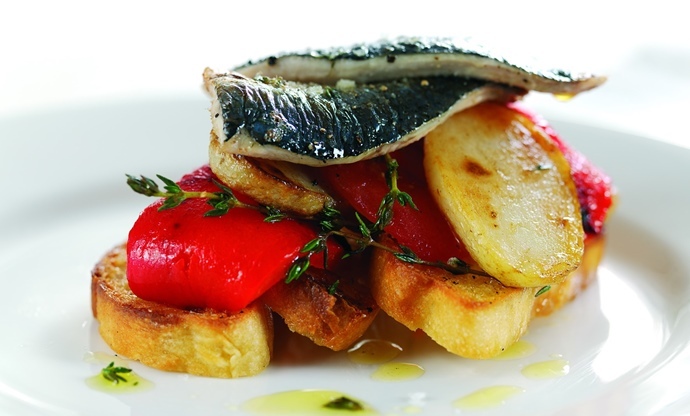 This recipe goes a step further, combining grilled fresh sardine fillets with sweet roasted peppers and herby garlic potatoes. Using focaccia instead of standard bread will help soak up all those lovely juices, too. You might have had your cake and eaten it, but was it on toast? Alyn Williams tops chunks of toasted brioche with a homemade Cornish curd cheesecake and delicate little wild strawberries. 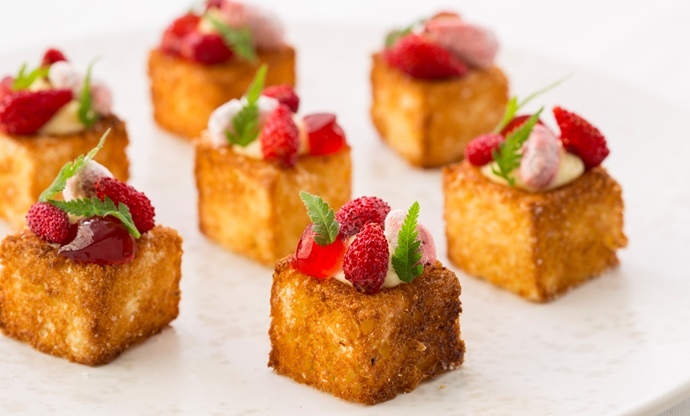 When sliced up small, these little bites make perfect sweet canapes or petit fours at the end of a meal, or you could keep the brioche whole and serve it for dessert. Last but not least, gooey melted cheese is the perfect partner to crisp toast. 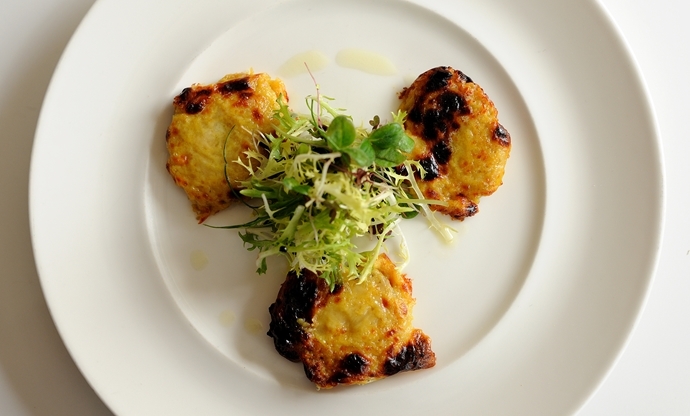 This is a twist on an old classic – rarebit – but takes it to a whole new level thanks to a reduced port syrup and plenty of delicious Stilton. 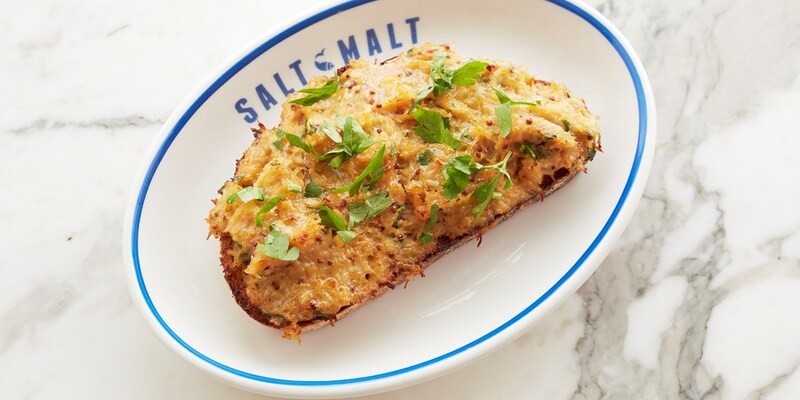 The welcome crunch of walnuts finishes the dish off perfectly, and the rarebit mixture can be made in advance then kept in the fridge for a couple of days, ready to spread.